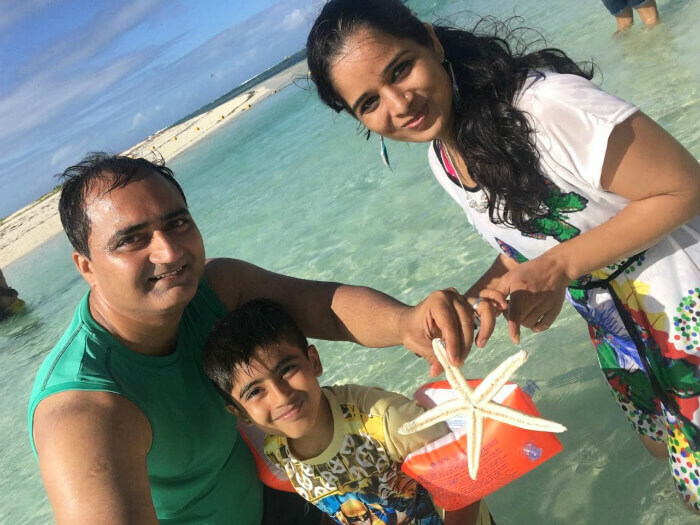 Read a splendid account of Mr.Raj Kumar sharing the memories of his rejuvenating 5 Nights/6 Days Family trip to Mauritius that he booked with Travel Triangle. 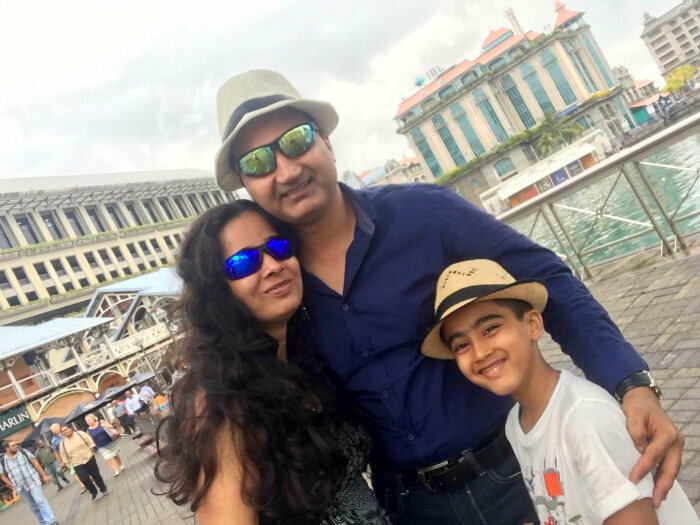 This vacation for Mr. Raj Kumar and his family was covered for INR 66,500 and it included their hotels, breakfast, transfers, Catamaran cruise, and sightseeing. We had 3 destinations in mind for this year based on our budget and interests viz Sri Lanka, Mauritius, and Bhutan. 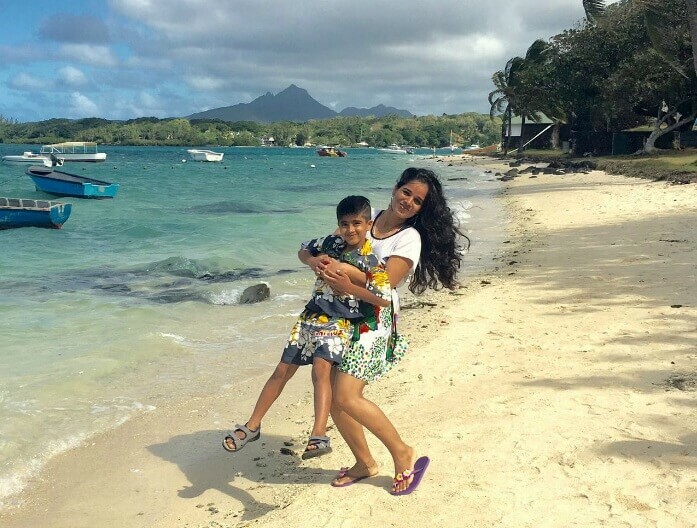 We chose Mauritius because of its climate, activities offered, and beautiful beaches. We came across Travel Triangle via an Internet search where we like the concept of having the capability to customize our package according to our needs. After we selected a package, a travel representative from Travel Triangle provided us with quotes from multiple agents giving us a chance to find the best deal for our family. 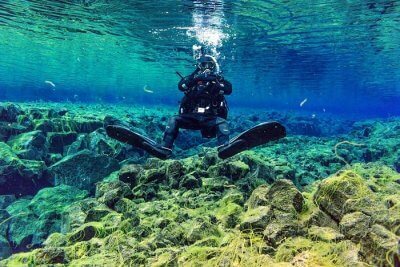 Tip: If you’re confused regarding your holiday destination, it is always better to consult a travel expert and in this case, thankfully, the travel expert agreed with our choice! 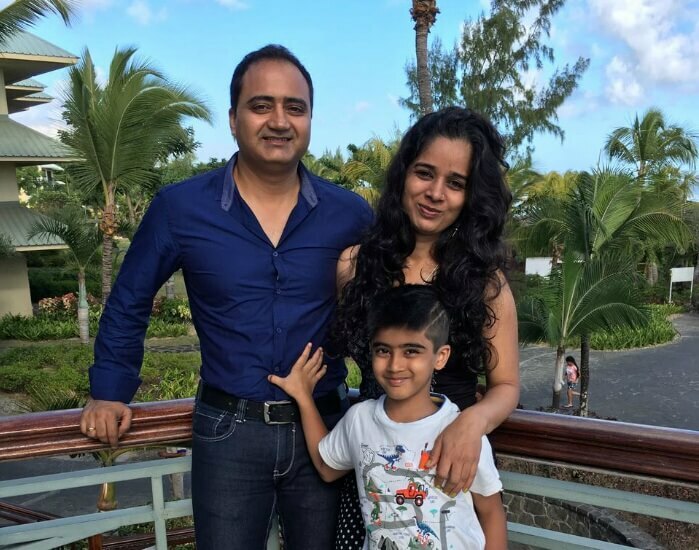 Our Holiday began as soon as we boarded the Air Mauritius flight in Mumbai. 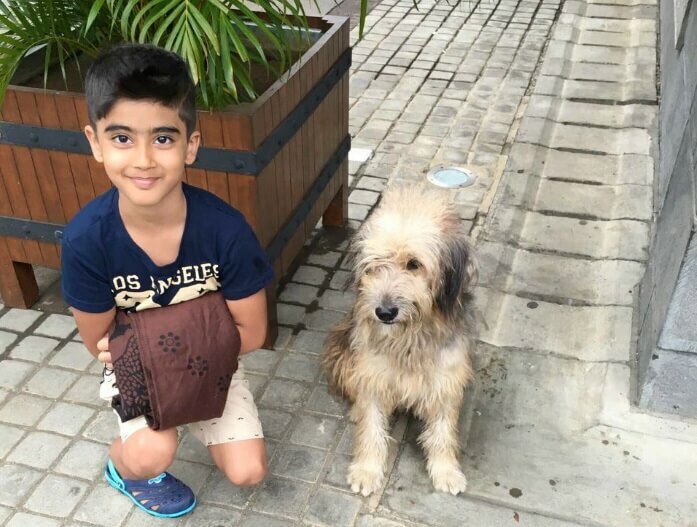 The flight had good service, good food, on time departure, and special gifts for children which made my son very happy. The airport in Mauritius is amidst the lush green sugarcane fields and has a view of the mountain peaks. 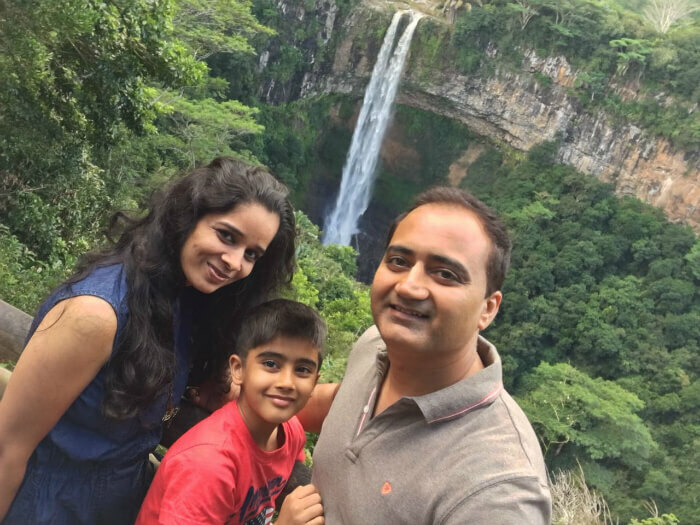 The immigration and visa on arrival process in Mauritius was pretty simple and quick. 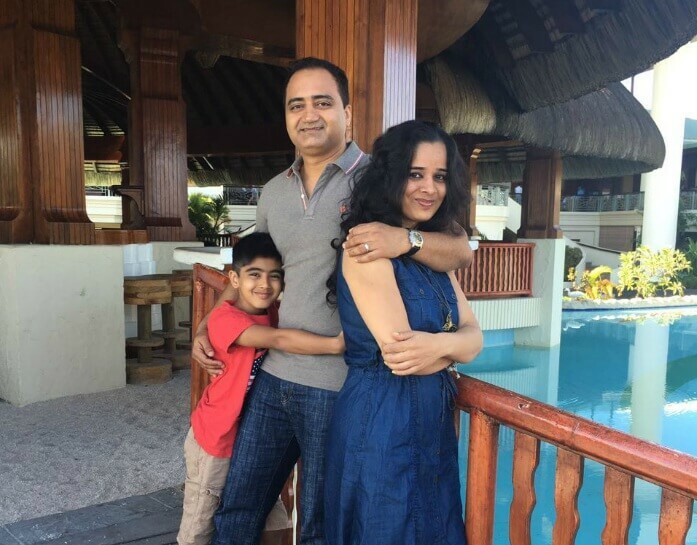 Tip: Mauritius offers Visa on arrival to Indians that is valid for 60 days. Upon landing, we were met by our tour operator’s representative at the exit who took us to the coach for transfer to the Hotel. We were handed over a free Sim card with some balance for basic calls to our tour operator and relatives in India. In the bus, while en-route to the hotel, the tour guide briefed us on do’s and don’ts in Mauritius and also talked about its economy, demography, and culture. On arrival at hotel Le Meridien, we were warmly welcomed by the front desk staff who carried on our check in procedure as we sat and enjoyed the welcome drinks. Luckily for us, we got upgraded to a better room since I am a ‘Preferred Starwood Guest’. We checked in, had lunch, and then went to sleep for a couple of hours. 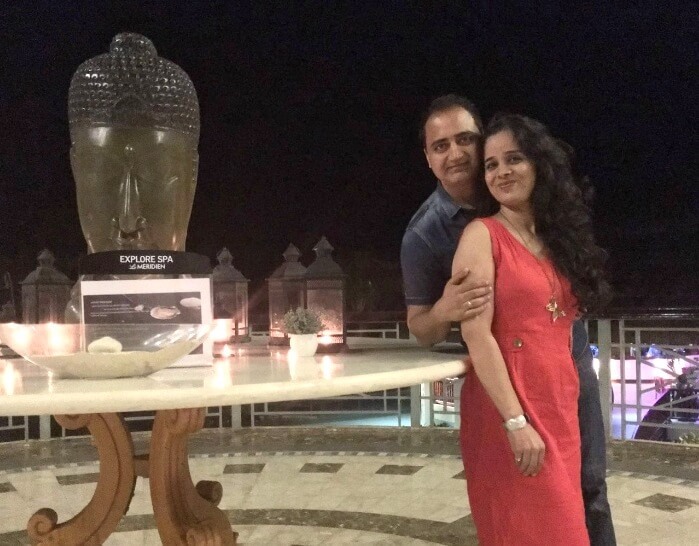 In the evening we explored the Hotel and its surroundings and later enjoyed a sumptuous dinner at ‘Cumin’ – the Indian restaurant at Le Meridien. Tip: Thanks to the customization option, we could get any hotel booked in our package and it paid off since I am a preferred Le Meridien guest. Our second day started with an elaborate breakfast at the 180 degrees restaurant in the hotel. Since the Self Drive Vehicle desk at Le Meridian was closed, we hired a chauffeur driven Car for the day. We travelled to North island to visit the beautiful Chateau De Labourdonnais (a chateau museum with a Rum distillery). At the heart of a magnificent natural estate, the Château de Labourdonnais invites you to discover the nineteenth-century Mauritian lifestyle. Beautifully restored, this grand mansion, built in 1859, has regained all of its original splendour and promises a tour full of surprises through the island’s history. Through an amazing visit course, “A château in a natural setting” conveys an exceptional journey at the heart of the colonial era, and to the discovery of activities that are still carried on in sugar plantations. While the estate gardens unveil the flourishing tropical vegetation, “A château in a natural setting” is today a landmark of local heritage as its colonial architecture and treasures of flora and fauna are unrivaled in Mauritius. After inspecting the historical mansion we were guided through the Rum distillery process which was followed by a rum tasting treat. 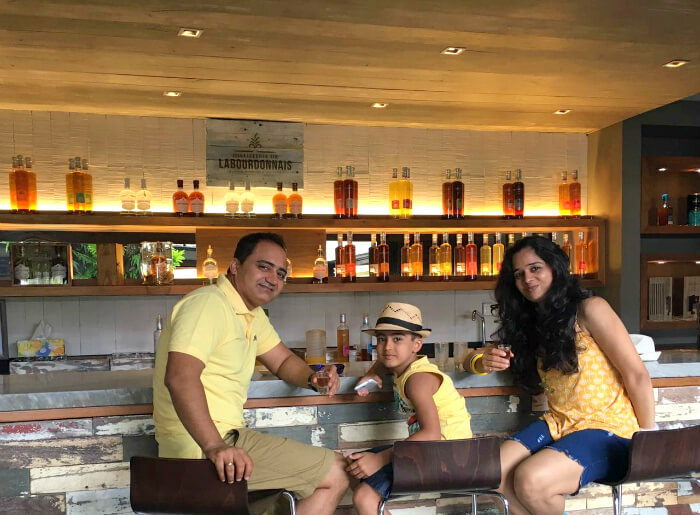 The distillery we visited turned out to be famous for award winning Flavoured Rums like Vanilla, Spices, and others among many. It also housed a Boutique where one could buy these flavoured Rums at reasonable rates. Not wanting to miss on something so spectacular, we bought a couple of bottles for our friends and family. 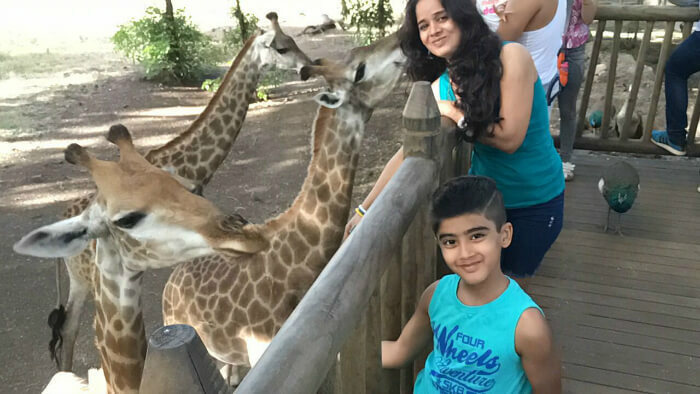 We spent the later half of the day in Casela Nature Park where we enjoyed the following activities: 5D show, Giraffe Feeding, Pony ride, playing with the Rabbits and Guinea pigs, patting the deer, sighting of Rhinoceros couple, different types of Deer, Zebra, Ostrich etc. 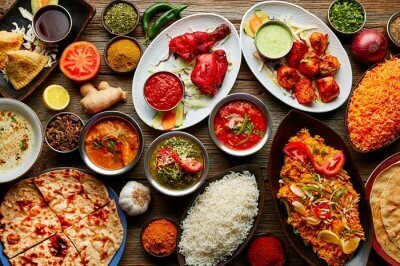 The interesting day ended at the hotel with dinner at the Cumin Restaurant. 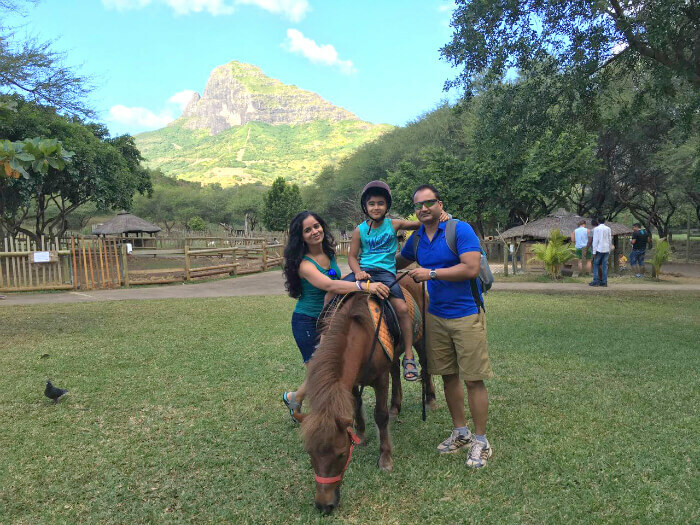 Tip: We could have gone for a leisure day today but decided not to since we wanted to explore all the offbeat places to see in Mauritius and the Chateau De Labourdonnais was a perfect one. Perks of getting a personalized trip! Today post breakfast we were picked up by our Tour Operator for a North Island Tour. Our Mauritius tour itinerary included a drive to Port Louis for a visit to the capital via the Citadel & its surrounding area. En-route, we were graced with a bird’s eye view of the Champ de Mars racecourse, inaugurated in 1812 – this was the oldest horse-racing club in the Southern Hemisphere and one of the oldest in the world. Later we were driven to Le Caudan/Port Louis Waterfront which had so with some 170 shops for shopping and leisure. It is the only place in entire Mauritius where one could get Sugar cane juice and flavoured sugar cane juice. We had our lunch at the Mystic Masala Indian Restaurant that had a scenic view of the harbour. 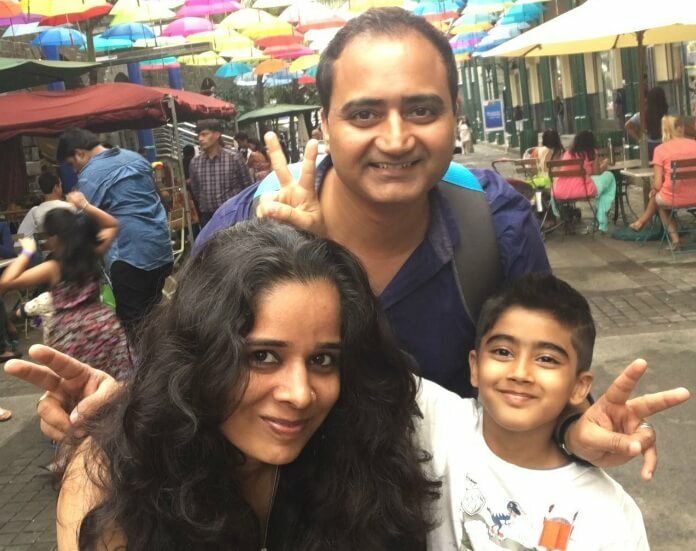 It rained as we enjoyed Masala Dosa, Samosa, Lassi and Tea along the waterfront. 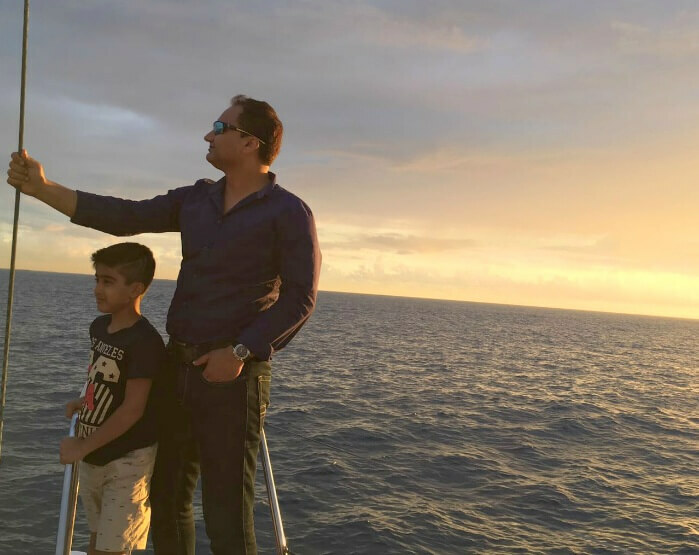 Finally, to conclude, we were driven to Grand Bay for a sunset Catamaran cruise. We thoroughly enjoyed the cool breeze, close proximity to the ocean by lying on the Nets, snacks, and cold drinks. Some members of the group also enjoyed dancing on the music as we sailed. Tip: For shopping, Le Caudan Waterfront is one of the best places in Mauritius and we recommend everyone to also try the Catamaran cruise for it is totally worth it! 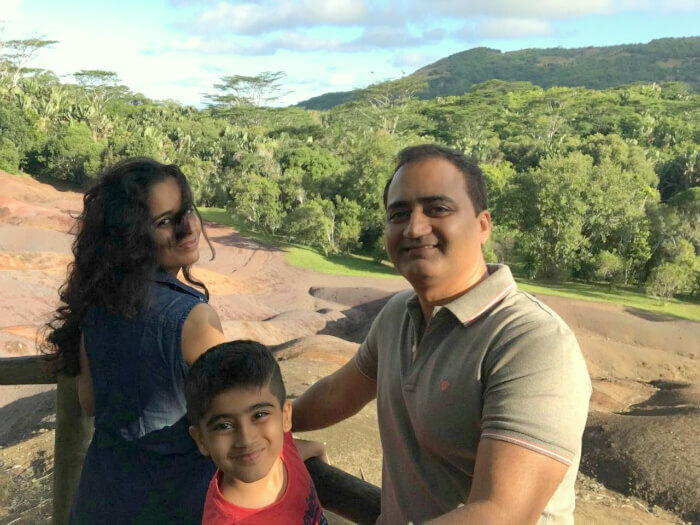 Suggested Read: The Stuff That Postcards Are Made Of – Mauritius! We woke up with the enthusiasm of visiting the other half of Mauritius. Post breakfast, we were driven to Curepipe where we visited the ship making factory. We also managed to sneak in some time to do some shopping at the duty-free shops in Floreal. My wife bought a painting, bracelets and flower clips whereas I bought a floral shirt for both me and my son. I was really pleased once we arrived at the scenic town of Curepipe & its surroundings from the extinct crater of Trou aux Cerfs. Later in the afternoon, we were driven through the nature park of Black River & Plaine Champagne to Chamarel village. We stopped at Grand Bassin (Ganga Talao) sacred lake & felt blessed with a view of the stunning 108 feet statue of “Mangal Mahadev”. Our day winded with a trip to Chamarel where the unusual 7 colored earth created by volcanic rocks, formed beautiful patterns of color in the exposed hillsides. Having completed our South Island Tour, we returned to the Hotel and retired for the night. 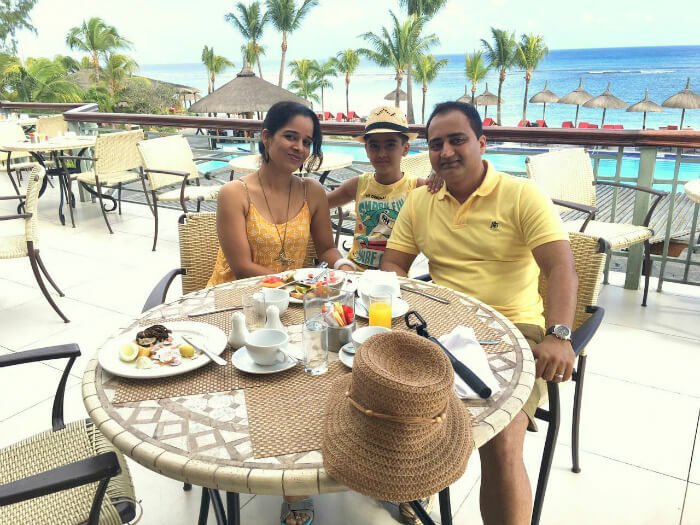 After breakfast, we were driven to Belle Mare to enjoy exciting and enthralling aquatic activities like parasailing, undersea walk, waterfall visit and banana tube ride. My wife enjoyed the water activities while I and my son enjoyed a walk on the beach amidst the colourful corals and fishes on the shore. I also savoured the locally bottled Lemon Vodka drink at one of the stalls near the beach. Later we were driven to Trou d’Eau douce for the speedboat transfer to Ile aux Cerfs, the islet with the most beautiful beach and the clearest turquoise water. We swam in the turquoise shores of the island and enjoyed lunch at an Indian Restaurant. We later return back to the mainland by a speedboat. After spending a fulfilling day with my wife and my son we were transferred back to the hotel for the night. Tip: Carry towels, swimsuit, an extra pair of clothes, sunscreen, cap, and other things for the activities on Ile aux Cerfs Island. We had booked the Blue Safari Submarine ride for our final day. As per the schedule, we were picked up from the hotel and taken to the Blue Safari Lounge where we had refreshments before embarking on our journey towards the submarine via a speed boat. The trip lasted for two hours in totality (including 40 minutes of diving) and here we were given a thorough explanation of the day’s activities, plus all the safety precautions that were to be followed. 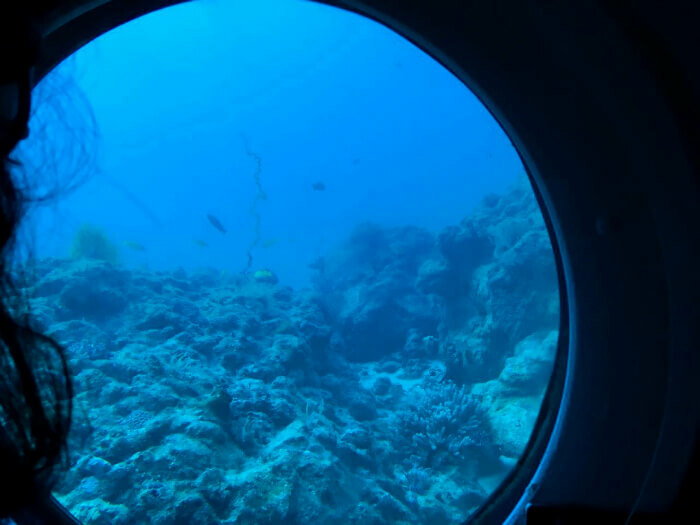 Inside the Submarine, since each comfortable chair has its own window, we had uninterrupted views of the ocean bed. The submarine is piloted by an experienced captain who knows everything about the creatures of the Indian Ocean. We are taken out to an old wreckage, the Star Hope, where zebra fish, eels, and other sea life come together. At the end of the trip, we received a certificate signed by the pilot to acknowledge that we were 35 metres under the sea. Even though some people felt nauseatic, we, however, enjoyed the ride thoroughly. 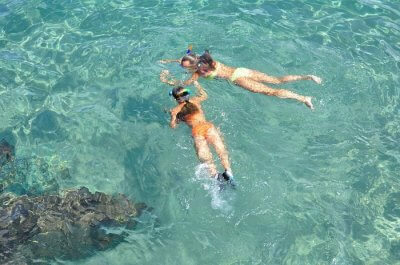 We even saw Sea Turtles, Corals, and various species of fishes. Tip: I would recommend everyone to take the submarine ride for it’s totally worth the money! The price for the submarine ranges from INR 6000 (kids) to INR 10000 (adults) per person approx. Our flight was at night and since we could not do a late checkout, we strolled around a nearby beach, enjoyed coconut water, and rested beside the pool of the hotel. In the evening, we were picked up for transfer to the airport for our flight back home. There were countless memories made by my family and me on this vacation. Although it is hard to pick one, I guess the best part of the trip was the family time that I got to spend with my loved ones. The little joys in life often get neglected due to hectic schedules and lack of time owning to work. However, this vacation gave me a chance to get to know my son better and strengthen my bonding with my wife. 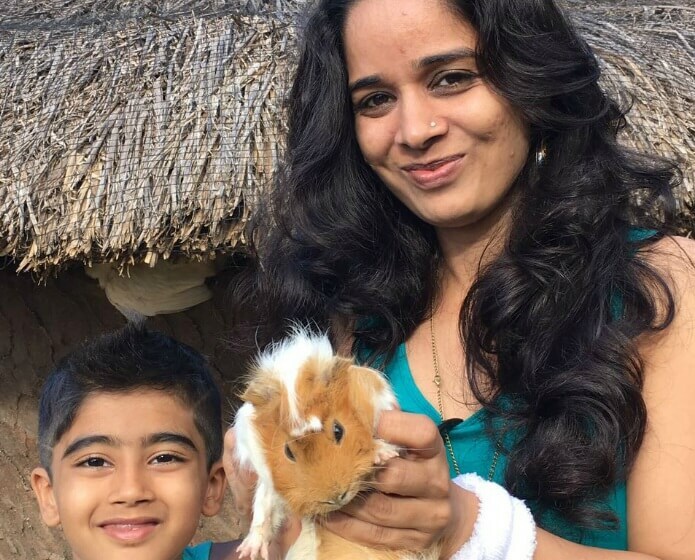 In terms of what Mauritius offered, Giraffe feeding, playing with Rabbits & Guinea pigs, Pony ride, and interaction with ostrich were the most cherished memories for my Son. Parasailing at Belle Mare, Giraffe Feeding, and Blue Submarine Safari were the most enjoyed activities for my wife. Ile aux Cerfs tour, Catamaran Cruise, a visit to Chateau de Labourdonnais with rum tasting, & Submarine Safari were the most interesting activities for me. Wifi network at the hotel was available only at the reception area. Data does not work in most of the parts of Mauritius even on a local number. Our itinerary was changed at the last minute hence we could not hire a car. The agent should take this up with their Supplier. 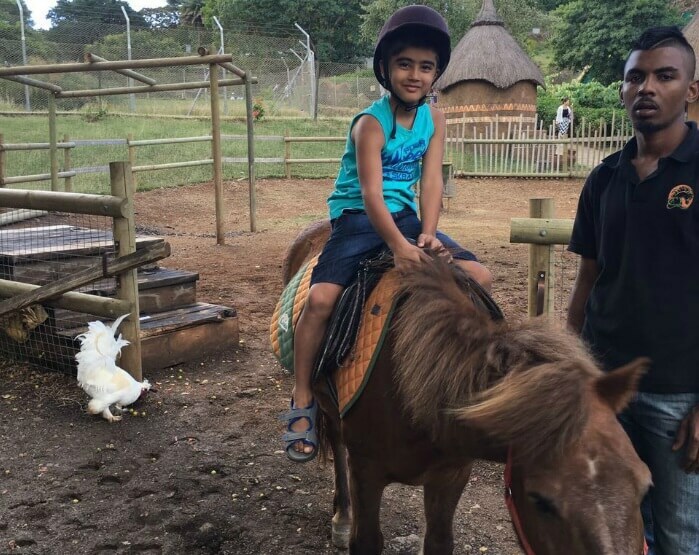 Hire a car in Mauritius and drive around. Skip the north island tour completely. Early check ins and late check outs are very difficult to get when you have flights to India in the night. 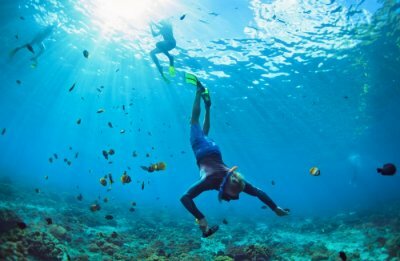 Discover nature, wildlife, and marine life with a trip to Mauritius! Have the best time with your family in this nature’s paradise. 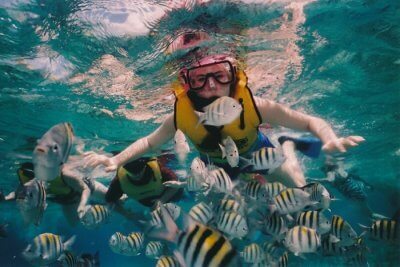 Book your Mauritius Package now!